Baba Farid University of Health Sciences (BFUHS), Faridkot, Punjab, invites Online Application from interested and eligible candidates to recruits 61 Staff Nurse for Special New Born Care (SNBC/SNCU) Unit in Department of Health & Family welfare, Government of Punjab. Join Indian Army by direct/open Army Rally. Army Recruiting office-ARO Amritsar (Ludhiana) going to conduct Army Soldier recruitment Rally at Ludhiana (Punjab) on 25th April 2016 to 10th may 2016 to recruits thousands Army Soldiers General Duty-GD, Soldier technical, Soldier Tradesman, Soldier Clerk/Store Keeper Technical etc trades by Sena Sainik Bharti Rally. Candidates from Punjab State (SAS Nagar Mohali, Moga, Ludhiana, & Rupnagar districts) may participate at Ludhiana Army Rally venue at schedule time table by filling up Online Registration form . 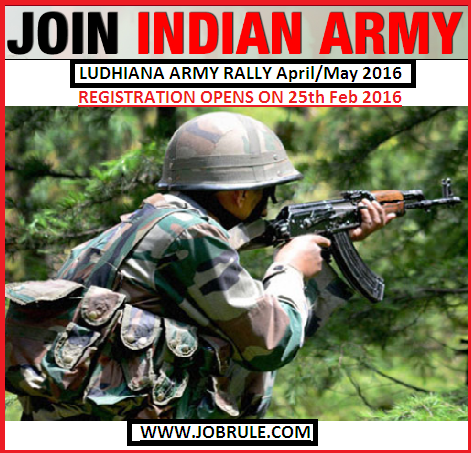 Remember, Online Registration is mandatory to participate at Ludhiana Army Rally. To read more details and to apply online for Ludhiana (Punjab) Army rally 2016, simply go through below given direct link (official website) . Fill up eligibility form to apply directly. to view Ludhiana Army Rally full Advertisement schedule programme time table, simply check local employment news paper or like our Jobrule Facebook Page . Department of Irrigation, Punjab invites Online Application from interested and eligible candidates for recruitment to the post of “100 Sub Divisional Engineer-SDE (SDE Civil-90 & SDE Mechanical-10) on the pay scale of Rs.15600-39100 with Grade Pay Rs.5400. 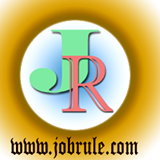 Graduate in Civil/Mechanical Engineer from recognized institution .